The National Citizens Alliance (NCA) believes that our treatment of animals is a reflection of who we are as people, and that animals are integral to ecosystems, which we share with them. As a result, the NCA supports the welfare of both domestic and wild animals from cruelty and mistreatment. From our Animal Welfare Policy Statement, the NCA supports national protocols to limit and regulate the farming of wild animals whilst requiring scientific evidence of no undue harm to farmed wildlife and non-farmed wildlife, whilst ensuring the freedom of wild animals to express normal patterns of behaviour, and whilst preserving sustainable culture practices relating to animals. From a broader perspective and for the same reasons above, the NCA supports the conservation and preservation of wildlife. Under Section 91 of the Canadian Constitution (1867), the federal government is responsible for federal lands including Aboriginal lands, sea coast, and inland fisheries. COSEWIC (Committee on the Status for Endangered Wildlife in Canada) advises the federal government as to which wildlife species should be listed under SARA (Species at Risk Act), and the federal government determines which animals are listed. Animals listed in the SARA are classified as threatened, endangered, or extirpated, and a recovery strategy and plan is in place and reviewed each year for each animal. The current federal government has demonstrated ill regard for Canadian wildlife. For examples, the government ignored the need to list some animals like the polar bear and humpback whale as threatened. Critics of the current federal government accuse it of disregarding blatantly the environment including animal welfare when it comes to pursuing economic development, such as, pipeline development to the British Columbia coastline, and oil and gas tanker transportation to and from the coastline. The NCA believes that both economic and environmental interests need to be part of the federal government’s decision-making. Wildlife policy is complex in that the determination of wildlife populations is difficult and subjective. For specific federal wildlife matters, the NCA supports decisions that improve economic conditions, but not at the peril of wildlife, with significant emphasis on threatened and endangered species, which will be unable to recover if their numbers fall too low. For the wildlife matters dealing with threatened and endangered species and wildlife in national parks and federal lands, the NCA supports a precautionary approach. In the absence of scientific knowledge of how a population will react to human impacts, the NCA supports further research and protection of the species. For example, with contradictory results on the population trends of polar bears, the NCA believes that it is better to proceed under the assumption that the polar bear populations are still declining and to protect them as such in order that this nationally and internationally significant species is around for future generations. For international wildlife matters, the NCA supports the maintenance of strong relationships with other nations and acting in ways that do not harm our economy or threaten wildlife populations. If Canada commits to an international agreement, the NCA believes in the importance of following through. If this means slight economic agreement, then it will pay off in international cooperation. If Canada cannot commit to a wildlife agreement that it cannot follow through on without significant economic impacts, then the NCA would not commit to the agreement and risk the international fallout that can threaten trade relationships and future alliances on other international environmental agreements. The mountain caribou is protected under the Species at Risk Act (SARA) as an endangered species, and it has a recovery plan in place. However, the Government of Alberta has been leasing undisturbed mountain caribou habitat to energy developers, and the current federal government has not stopped this practice despite its jurisdiction to do so. The NCA supports ending the policy of leasing undisturbed mountain caribou habitat to industrial developers. In addition, the NCA supports that the federal government stop this practice from continuing in Alberta and anywhere else in Canada. The federal government reclassified the humpback whale from a threatened species to a special concern. As a result, critical habitat of the humpback whale is no longer protected. This decision has been linked directly to a pipeline terminal, which would feed a shipping route through critical habitat of the humpback whale. Due to public outcry, Fisheries and Oceans Canada (DFO) referred the reclassification decision back to Committee on the Status for Endangered Wildlife in Canada (COSEWIC) for further consideration. No change in this controversial decision has yet occurred. The NCA does not support the reclassification of the humpback whale, which could lead to the extinction of the humpback whale along the west coast. The federal government has ignored the elk problem on the federal military base CFB Suffield located in southern Alberta. Due to limited predators on the military base the elk herd has grown to the point that it is venturing onto nearby farmland, grazing on crops, and damaging farm fences. The Government of Alberta has rejected a request for a cull of the elk herd by local residents. In addition, scientific studies show that culling is ineffective in reducing wildlife populations due to for example increased female reproductive rates during culling. The NCA does not support culling of the elk herd because scientifically it is unclear that culling will lower the elk population over time and that killing wildlife should be a last resort. The NCA supports that local residents use elk fences to keep out elk. To this end, the NCA supports a federal subsidy to help finance the cost of these fences. In addition, the NCA encourages the Government of Alberta to increase elk hunting permits in the vicinity of the CFB Suffield military base and increase adequate and easy accesses to hunters that do not interfere with the surrounding farms and other private and public properties. The federal government lists the polar bear as a special concern in Species at Risk Act. The government takes the dubious view that polar bears are not in decline and that they are not threatened by climate change. The primary threat to polar bears is human-caused mortality primarily through regulated hunting. This threat is combined with climate change, which is shortening the ice-pack season, and thereby decreasing the bears’ time to hunt. Most scientific evidence shows a decline in the polar bear populations. The NCA takes a precautionary approach to the polar bear in order to err on the side of the polar bear’s preservation. 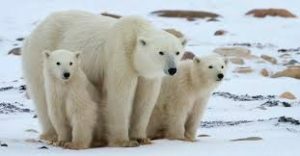 Since there are contradictory reports on the population numbers of polar bears, it is wise to assume that there are fewer bears, and they are still in decline, because not acting to protect them risks extinction. If we act to protect the polar bears and they are already increasing, they will only continue to increase to healthier levels. Because polar bears are so susceptible to climate change, and to a number of other threats, working to protect them now will help mitigate negative climate impacts on their populations. The NCA supports listing the polar bear as a threatened species in SARA and suspending all hunting of the polar bear except for local inhabitants (Aboriginal and non-Aboriginal) for the sole purpose of feeding themselves and their other family members and only until reliable and consistent polar bear population numbers are confirmed. The NCA supports the welfare of wildlife to freely express their normal behaviour patterns barring sustainable culture norms. The NCA takes a balanced approach to economics and environment, in which improvement in economic conditions will not occur at the peril of threatened and endangered species that will be unable to recover if their numbers fall too low. In addition, the NCA supports wildlife research, education, and public disclosure of wildlife science, which will help contribute to the conservation and preservation of Canadian wildlife. The NCA will work with any party that supports its vision for the conservation and preservation of wildlife. The NCA membership vote on 2014-11-21/23. 100 percent of membership in favour of the Wildlife Conservation Policy Statement; 100 percent quorum. Minimum 70 percent membership support and 50 percent quorum required for adoption of policies as per the NCA Constitution.